Yesterday, I attended my first home show thanks to winning 4 VIP tickets to the Philadelphia Home Show from my friend Darla, organizer extraordinaire and owner of Heartwork Organizing. Originally, I planned to bring one child with me and spend a few hours at the Home Show. Alas, my plan was foiled, and I ended up with 2 sidekicks. Fortunately, we found plenty of things to do and see at the Home Show to make it fun for them. Me, I’m headed back on Saturday, pending the snow, to see Darla and Denise of The Painted Home do their presentations. Squee! My kids know I heart all things thrifted. 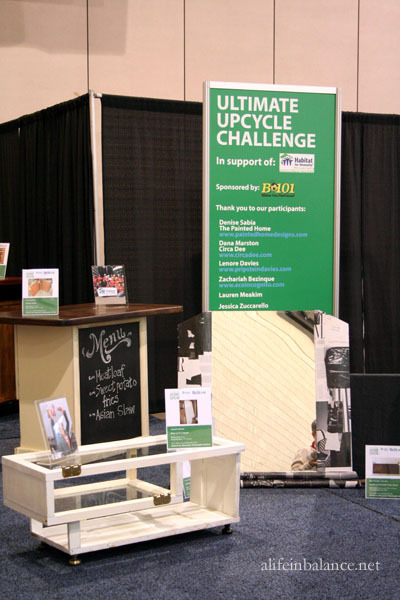 Which is why our first stop was the Habitat for Humanity Upcycle Challenge. 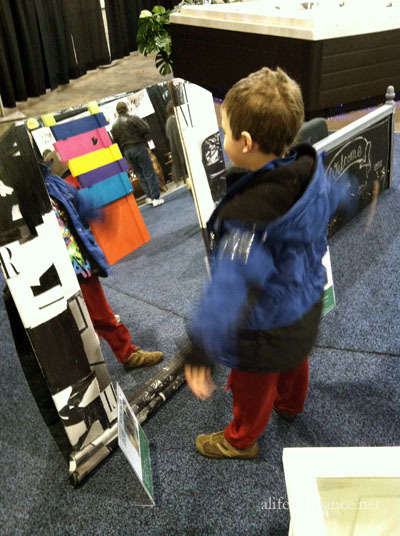 This upcycled mirror – yes, it was a big hit. 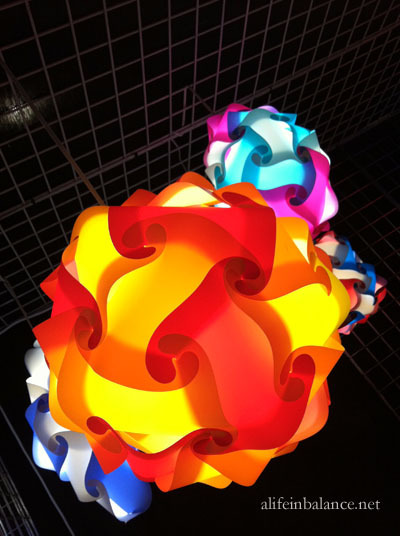 We found these cool lights across from the Habitat for Humanity Upcycle Challenge. They come as kits or can be assembled in 5 minutes at the show. Unfortunately, they were only available at the show. 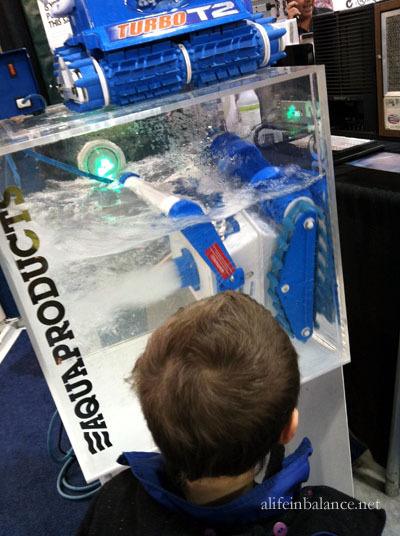 What’s not to like about a robot that can clean a pool? 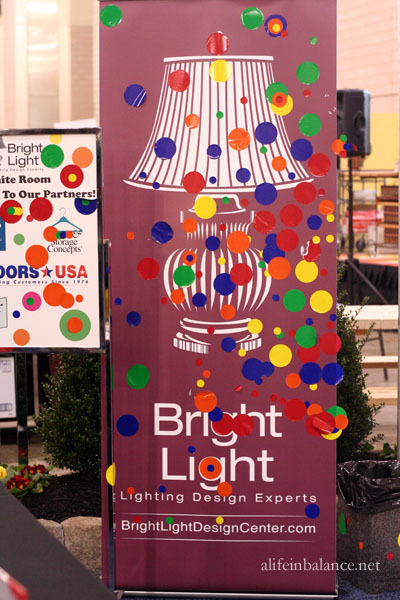 The Bright Light Room was the BEST part of the Home Show for the kids. 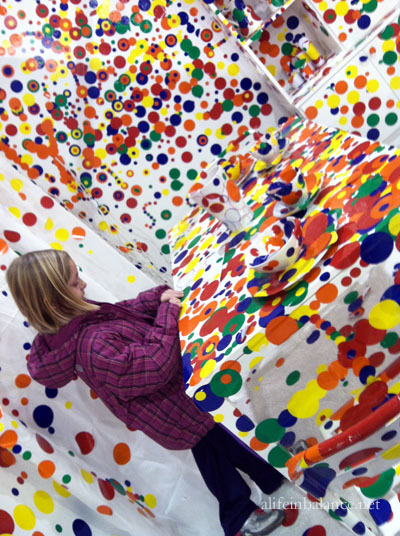 Starting with a completely white room, adults and kids were given a sheet of stickers to place ANYWHERE they wanted in the room. Looks like a great time was had by all… even your two sidekicks! We’ve yet to make it to the Home Show but it’s something I would love to attend in the future. Looks like you all had a lot of fun! Love all the shots! Wow, cool! Totally blows away my local home show! We’ll have to take a trip and attend the next one. Love the sticker room. Makes you want to win the lotto and have one room just for art in your house! That bright light room looks fantastic! I am hoping to get there this weekend, if the weather holds out! I wouldn’t have thought to bring my kids but I’m amazed! Some stuff looks like its made for them! The bright room is super fun! I think if the Show had been busier, we wouldn’t have done so well. We had room to walk and look at stuff. And that Bright Light Room was such a great idea!